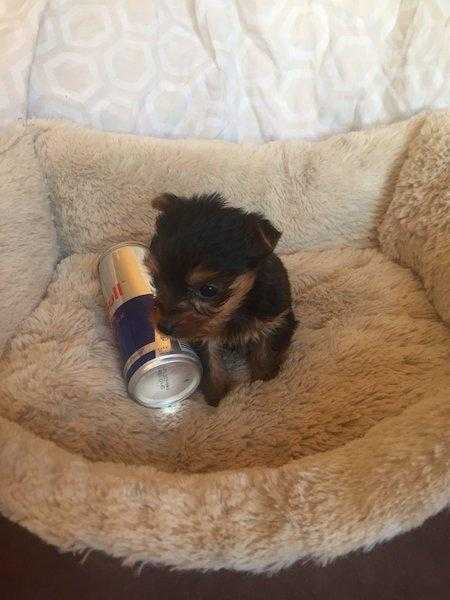 Very very tiny Yorkie. Mother is tiny she weighs 1 and a half lbs.carried around in my coat pocket all day. Vaccinated and wormed up to date. Only Yorkie lovers need to apply. This pup will not just be sold to.